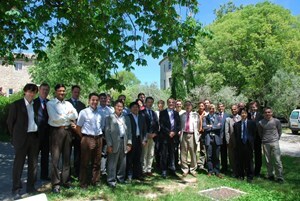 The participants to the Remote Handling IPT kick-off meeting. This week saw the official launch of the Remote Handling Integrated Product Team (RH-IPT). 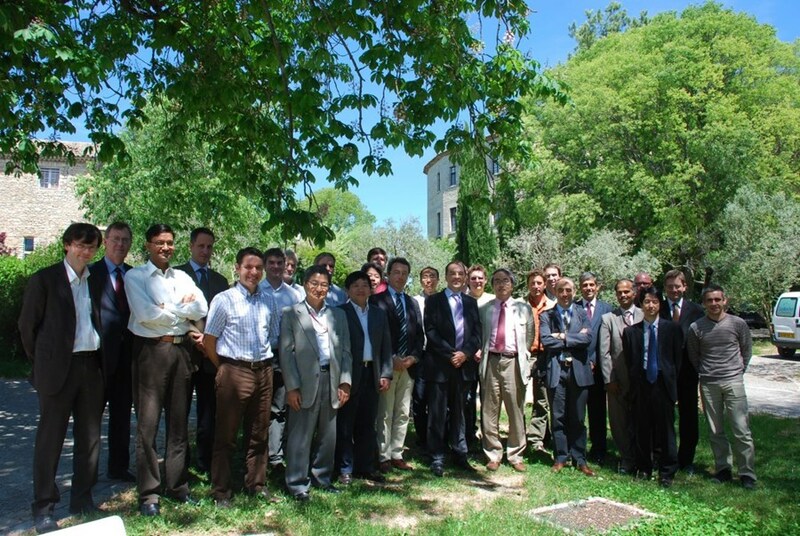 The two-day kick-off meeting took place at the Château de Cadarache and was attended by around 30 participants from the ITER Organization and the Domestic Agencies, plus a further 10 participants calling in from around the world. The main aims of the RH-IPT are to improve communications among various stakeholders involved in maintenance of ITER, to foster shared ownership of RH equipment designs and to promote shared responsibility for the RH compatibility of ITER machine components. As such, members of the RH-IPT have been drawn equally from the areas of RH equipment supply and tokamak design, across the ITER Organization and the ITER Members. 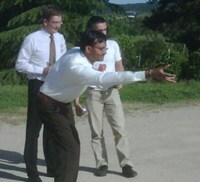 The ''remote handling pétanque championships'' will no doubt become a regular event on the ITER sporting calendar. During these sessions significant progress was made in the mutual understanding of the challenges and issues to be faced in developing an integrated RH system for ITER, plus a better understanding of the constraints imposed by the nuclear nature of the ITER machine. There was also fruitful discussion on the practical problems of ownership and responsibility to be faced during the delivery, physical integration and commissioning of RH systems to be supplied from two different Domestic Agencies. Most importantly, the meeting provided an opportunity to build up the multi-party teams working within the specialist topic areas identified for the IPT and establish a timetable for its future activities. Last, but not least, it also gave rise to the first round of the "remote handling pétanque championships," which will no doubt become a regular event on the ITER sporting calendar.